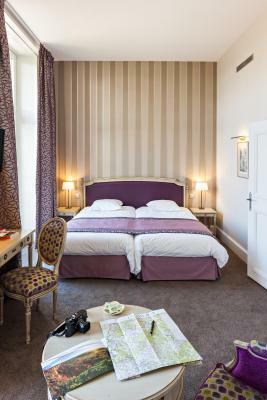 Lock in a great price for Château Sainte-Sabine – rated 9.3 by recent guests! 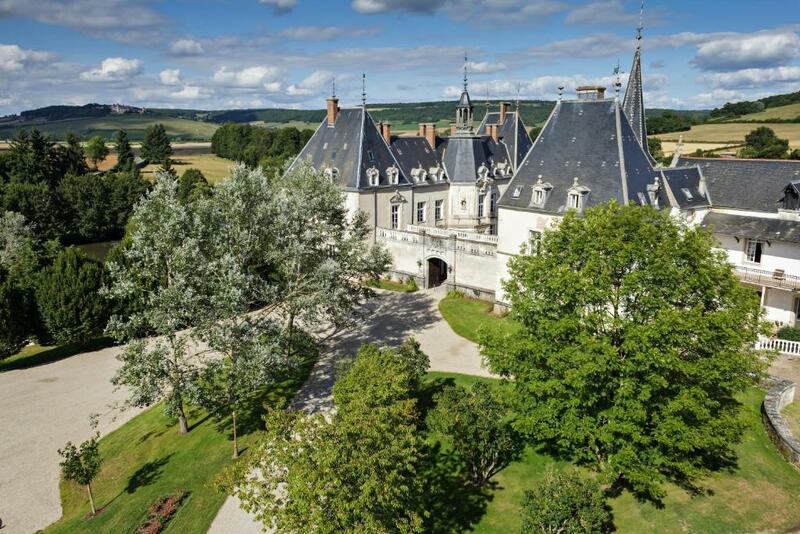 Very attractive historic chateau & grounds. 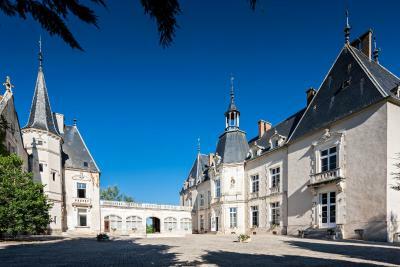 Chateau was located in quiet - park like setting next to a small village. 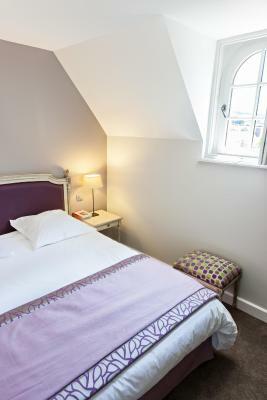 We were upgraded to a larger third level tower room with a great view of the grounds & village church. Elevator provided easy access to our room. 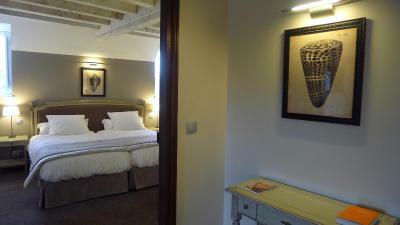 Room was fairly large, clean, attractively furnished with a comfortable bed and large bathroom. Wi-fi was fast and worked great inside our room. Staff was very friendly and helpful. We fixed our own breakfast within our room - since their breakfast was a bit expensive. Great overall value. 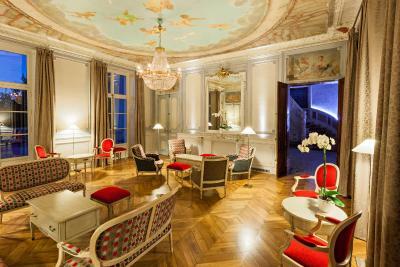 Beautiful renovated chateau near the A6 on the way to Paris from Geneva. 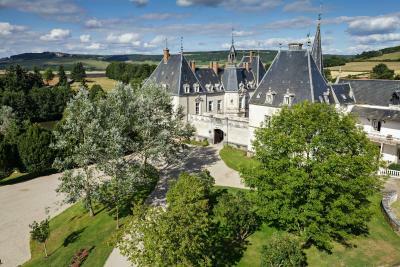 Beautiful Chateau in a wonderful location in rural Burgundy. Very pleasant and extremely helpful staff! Chateau Saint Sabine was lovely. Driving in from the gates its such a pretty building with a wonderful church beside it. 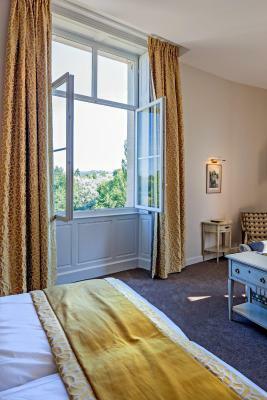 The window in our room was high but magnificent view of Chateauneuf on the hill in the distance that was lit up at night like a fairytale. Sabine staff were very friendly and helpul and the property was pretty inside. Our room was small like many Paris rooms but very nicely decorated and comfortable. It was nice to sit in the Main sitting area that also had a very large pool table room beside and they both overlooked a large outdoor patio that faced a large park area with a pond. There is a large courtyard when you enter with a fountain that is also very pretty. There are deer on the property that you could go see and I especially enjoyed that. Great service. Very helpful staff. Beautiful location and comfortable room. This is an oasis of calm, beautiful surroundings that is simply special. There is an ambiance of restfulness not seen very many places. The cuisine was excellent at the one meal I organized for visiting friends. 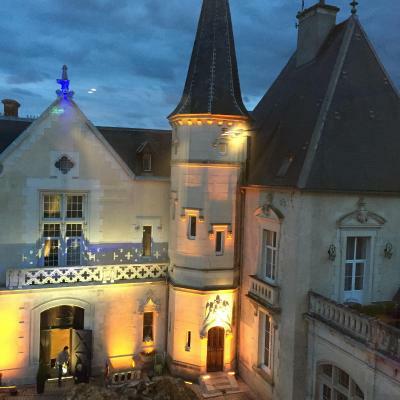 The Château is absolutely stunning and my partner and I did say it would make a beautiful wedding venue, (not that we were looking at it for that reason), the area it is in is wonderful and Dijon and Beaune are both so close (about 30 minute drives across country, probably faster via the autoroute/motorway) We had the delicious and wonderful tasting menu for dinner along with accompanying wines and our second evening they kindly made us some cheese platters to enjoy with our wine in the billiards room. It will certainly be a beautiful place to visit in the summer! I really love the room (view was amazing), dinner and the deers in the parc. 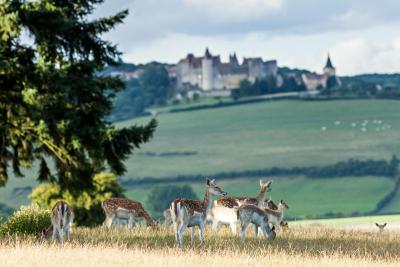 Set on an 8-hectare park in the heart of Burgundy, this hotel is a 17th century castle built in an old monastery. It offers an outdoor swimming pool and free Wi-Fi access in public areas. 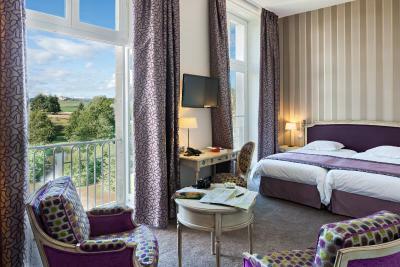 Located in the main building or in the tower next to the castle, the spacious rooms at Château Sainte-Sabine feature carpeted floors, a TV and garden views. 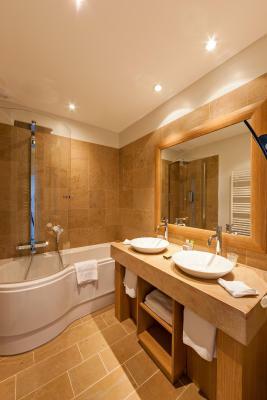 They also include a private bathroom with a bath or shower. 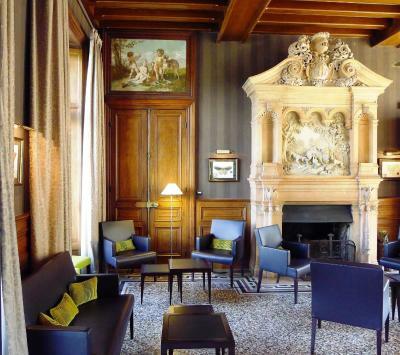 Guests can enjoy a daily buffet breakfast at Château Sainte-Sabine. 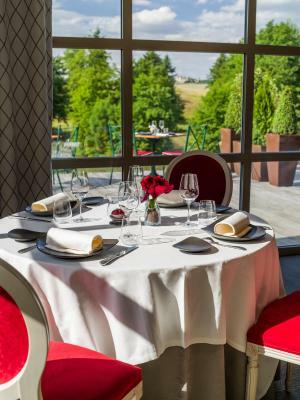 With a panoramic view of the medieval village of Châteauneuf en Auxois and the valley, the hotel’s restaurant serves creative gourmet or traditional cuisine, based on fresh local products. There is also a bar at the property. You can go walking in the countryside or visit the famous vineyards of the region, where tastings are also available. Nearby there is the Burgundy Canal, Fontenay Abbey and Alesia Park Museum. Free private parking are available on site. A charging station for electric cars is available at this property. This property also has one of the top-rated locations in Sainte-Sabine! Guests are happier about it compared to other properties in the area. This property is also rated for the best value in Sainte-Sabine! Guests are getting more for their money when compared to other properties in this city. 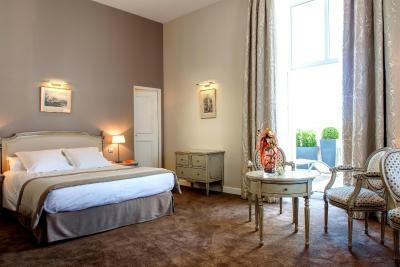 When would you like to stay at Château Sainte-Sabine? 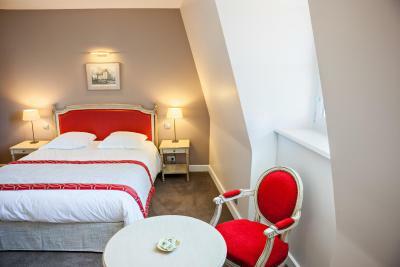 Located on the first, second or third floor of the castle, these air-conditioned rooms are serviced by a elevator and offer views of the garden. They have a mini-bar, safety deposit box, TV, free Wi-Fi access and private bathroom with a bath. 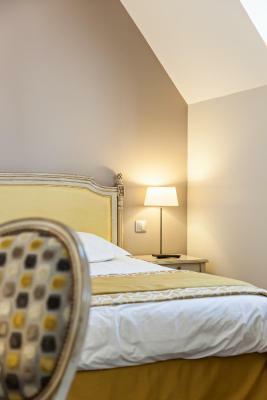 Located in the castle or in the tower, these air-conditioned rooms offer a mini-bar, safety deposit box, TV, free Wi-Fi access and private bathroom with a bath tub and shower. Please note that the rooms set in the tower are accessible by stairs. 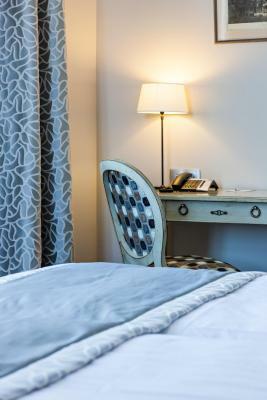 Please note that these rooms cannot accommodate an extra bed but they can accommodate a baby cot. 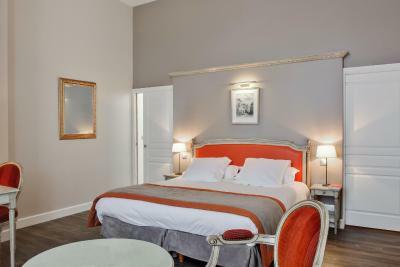 These rooms are located on the 2nd floor of the castle, and feature air conditioning, a mini-bar, a safety deposit box, a TV, free Wi-Fi access, and the bathroom is complete with a bath tub. Please note that these rooms cannot accommodate an extra bed or baby bed. 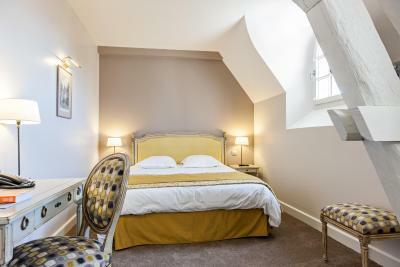 Located in the castle or in the tower, these air-conditioned rooms offer a mini-bar, safety deposit box, TV, free Wi-Fi access and private bathroom with a bath tub or a shower. 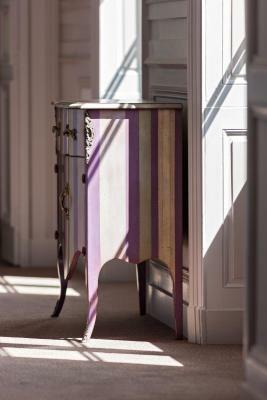 House Rules Château Sainte-Sabine takes special requests – add in the next step! Château Sainte-Sabine accepts these cards and reserves the right to temporarily hold an amount prior to arrival. 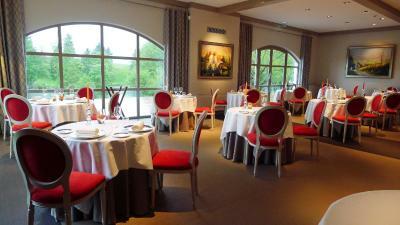 On the day of booking, please inform the hotel if you would like to dine in the hotel restaurant. Please note that the outdoor swimming pool is open from July to August. Please note that extra beds are available upon reservation. The dining room could have used fresh flowers. All of it was great. The pillows are not nice but very clean and comfortable. Service is amaZing and the cuisine excellent. The separate toilet had no sink. Very inconvenient since you had to cross the room from the toilet in order to come to the bathroom. Hopeless. Hotel, food and staff are traditional. If you dont like that, find yourself another hotel. Very nice castle in beautful garden in a small village. We liked our big room with great views! 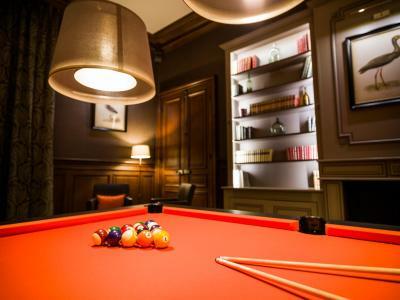 They also have a nice pool table in their library which we used with pleasure. Very nice garden and excellent location. Shower bath uncomfortable. Room without view. One member of staff not particularly welcoming. Chateau courtyard in need of repair. Comfortable bed. Beautiful location. Lovely food in restaurant.